A Staten Island-based Afro-beat, soul-jazz, and funk instrumental ensemble, the Budos Band came together at a jam session hosted by Brooklyn's Afro-beat kings, Antibalas. Specializing in horn-driven world roots funk, the band has a somewhat fluctuating lineup that includes David Guy and Andrew Greene on trumpet, Cochemea Gastelum on tenor sax, Jared Tankel on baritone sax, Daisy Sugarman on flute, Thomas Brenneck on guitar, Robert Lombardo on congas, Mike Deller on organ, Vincent Balestrino on tambourine and shekere, Daniel Foder on bass, and drummers Brian Profilio and John Carbonella, Jr. The group released the self-titled The Budos Band on Daptone Records in 2005 and followed it with The Budos Band II, also on Daptone, in 2007. 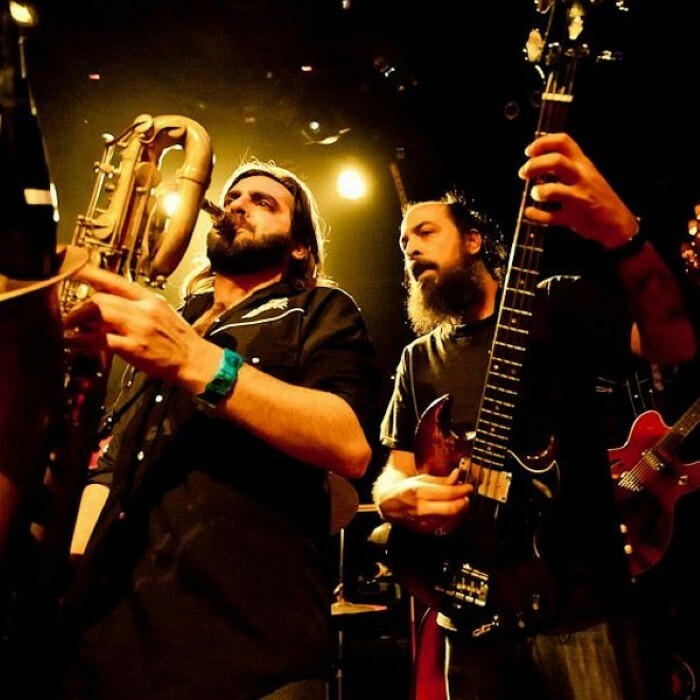 After a tour, and a lengthy break during which individual members contributed to other artists' projects, the band reunited to record a third album aptly entitled The Budos Band III, which was released August of 2010.